Our tax system is built on the notion of rewards and punishments. Do a good thing: get a treat. Misbehave: prepare to pay a price. In an effort to steer Americans toward what the government thinks is best we do—buy a house, seek regular medical care, invest and donate to charity—Uncle Sam offers a treat in the form of tax deductions. But many Americans, indeed fully two-thirds of us, don’t need a complicated tax strategy. Here’s why. For most people, taking what’s known as the standard deduction is the best way to save money on your taxes. The good news? It doesn’t involve saving any receipts or doing complicated calculations. You claim it just by checking a box. The standard deduction is the amount of income the government excludes from taxation by default, and it is a fairly generous amount. For tax year 2014 (for filing by April 2015) the standard deduction rises to $6,200 for singles as well as married persons filing separate returns, and to $12,400 for married couples filing jointly. The more you make, the likelier it is you’ll itemize your deductions. The non-profit Tax Foundation found that while only about half of taxpayers earning between $50,000 and $75,000 itemize, almost all taxpayers earning more than $200,000 do. But don’t let the statistics fool you. While it is true that higher-income tax filers are more likely to itemize their deductions, nearly two-thirds (65.8%) of itemizers in 2010 had adjusted gross incomes of less than $100,000. More accurately, are you paying a mortgage? If so, and if you’re paying a heap of interest each month and property taxes to boot, you might find some benefit from itemizing deductions. Homeownership is the common denominator for beginning to consider whether filing your taxes goes from quick and easy to down and dirty. But it is not the only benchmark to consider. 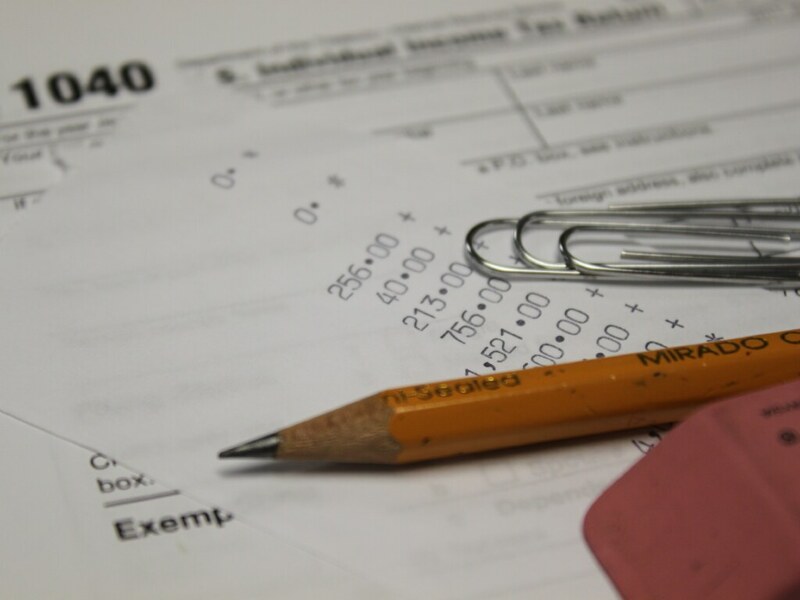 If you really want to know if you should itemize or just take the standard deduction, you’ll have to do the math on both and compare the results. The Government Accountability Office looked at the 1998 tax returns of Americans and found that half a million people overpaid their taxes by claiming the standard deduction, when they could have itemized and paid less tax. According to the Congressional Research Service, the mortgage interest deduction made up the largest share of deduction claims among itemizers with an adjusted gross income between $20,000 and $250,000. Now, these expenses don’t just come right off the top. Many of them require meeting or exceeding certain minimum amounts of your adjusted gross income. For example, you could have a boxful of receipts, spend hours tallying them up and find that your expenses just don’t add up enough to count. There’s that punishment-and-reward thing again. The winds of tax reform blow steadily during election years, then slow to a whisper when there are no votes to count. One of the topics you’ll hear when the gusts gather is whether itemized tax deductions should be reduced or eliminated altogether. For now, , itemizing is an option to consider when looking to reduce your tax burden. And, of course, you’re not locked in forever. You can itemize this year and not the next. If you have a mortgage, it’s a pretty simple matter to add up the interest and taxes you pay to see if they exceed the standard deduction. If they do, or at least come close, it may be time to drag out a shoebox and start saving those receipts. If not, your best tax strategy may be no strategy at all. Tax forms image via Flickr.